This practical book is for testers who find themselves on an agile team, test and quality assurance managers in organizations transitioning to agile development, and agile teams learning how to approach testing. 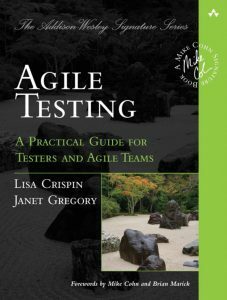 The book starts with an introduction to agile testing, how it’s different from testing on a traditional team, and what makes agile testers different. The book contains dozens of stories from real people on real agile teams about the various testing-related issues they faced and how they resolved them. A section on organizational challenges covers cultural issues that agile testers face, team logistics, metrics, defect tracking and test planning. One central part of the book uses Brian Marick’s agile testing matrix to go through all the different types of testing needed on an agile project, who does it, how to approach each type, and what tools might help. The test automation portion of the book looks at barriers to successful test automation, ways to overcome them, and how to develop a sound test automation strategy. Another core section of the book takes the reader through an iteration, and more, in the life of an agile testing, from release planning to successful delivery. 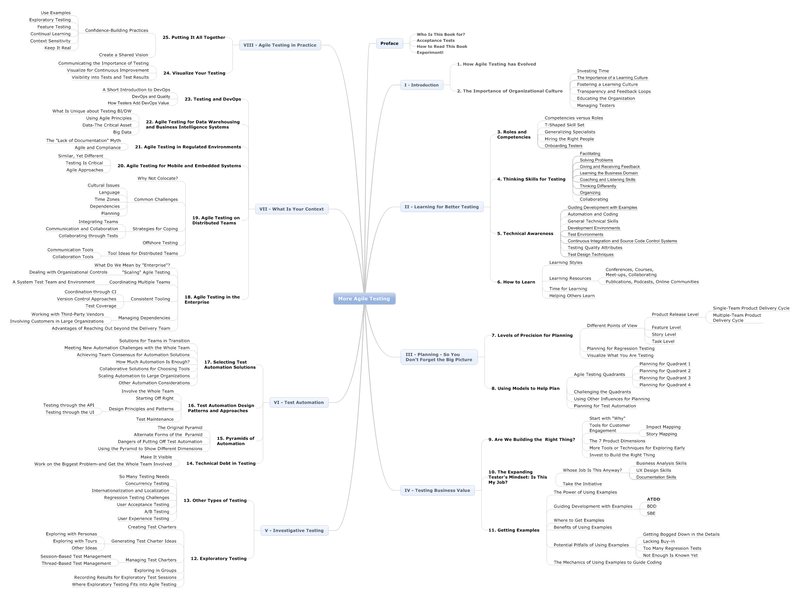 Chapter 1 – What is Agile Testing Anyway? 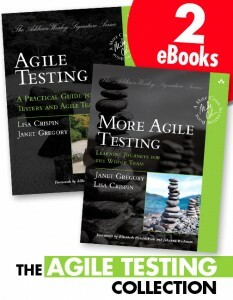 Now available in eBook format is the Agile Testing Collection. Our books are also available on Amazon and other fine bookstores. We appreciate your reviews on Amazon.